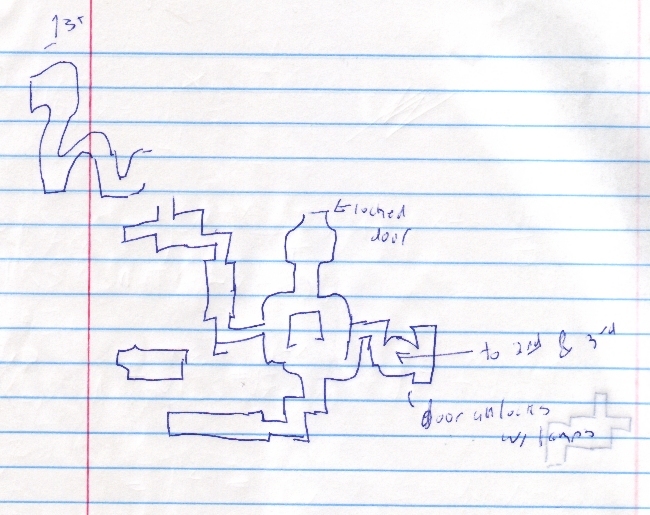 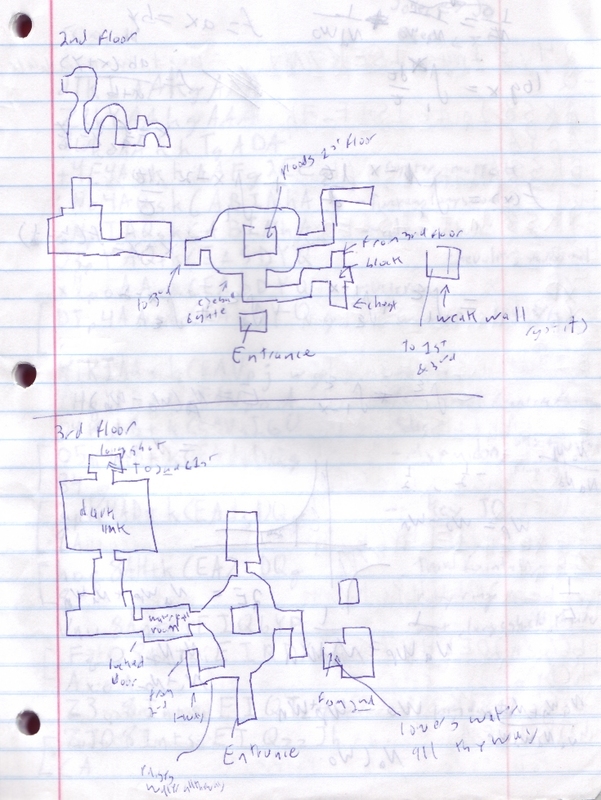 I didn't need to make many notes on Ocarina of Time, and the game has its own built-in mapping system. 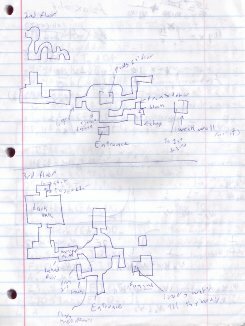 However, for the Water Temple, probably the best dungeon in the game, I decided to draw my own map so I could make annotations, in particular on things like where the water is raised and lowered. 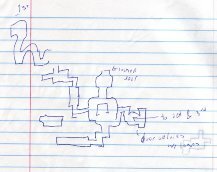 For the following two images, click for larger.